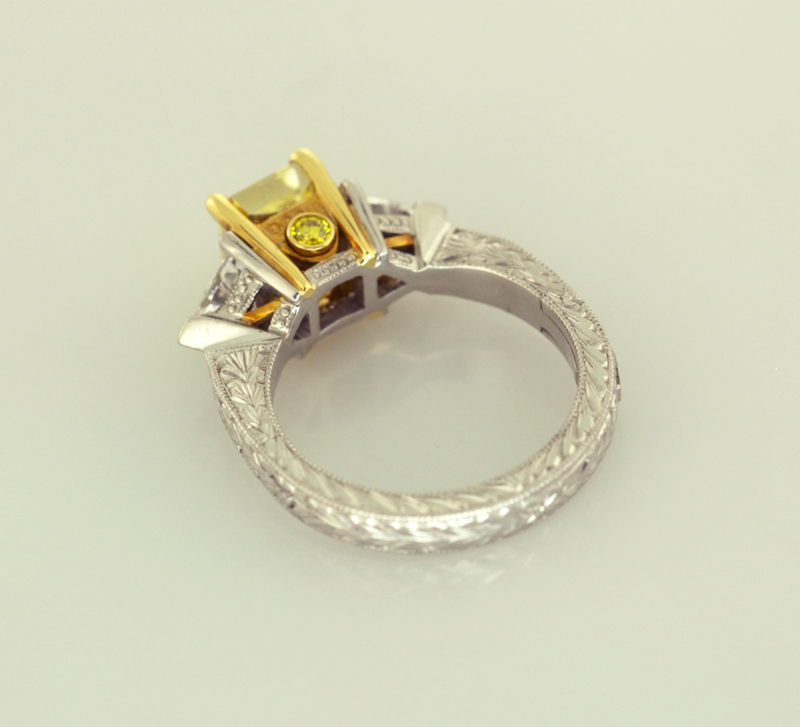 Check out this entirely handmade Platinum and 18KT Yellow Gold and diamond ring. 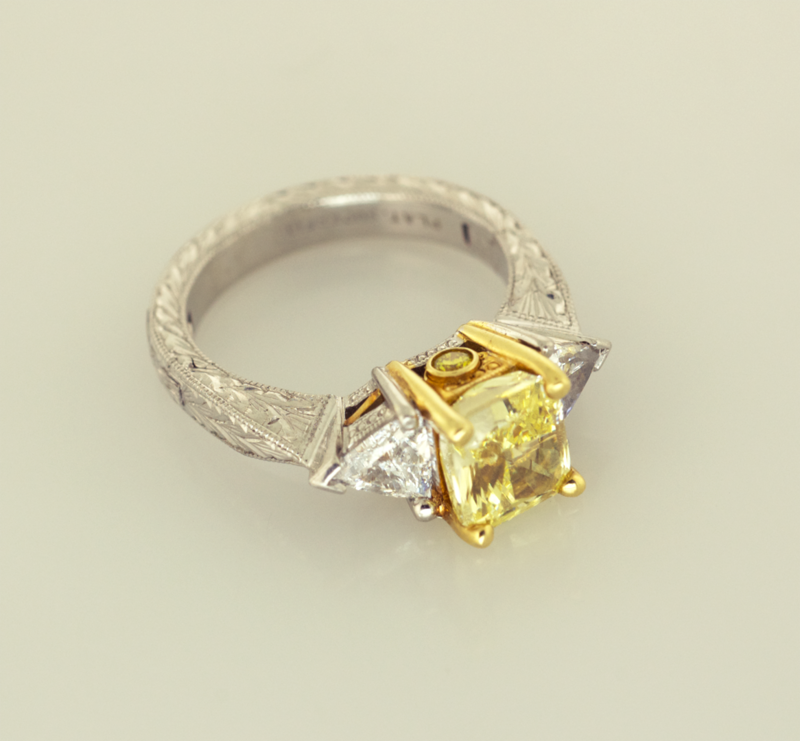 In addition to our innovative and contemporary designs, we also build hand-fabricated pieces that are reminiscent of the fine jewelry that was manufactured at the turn of the last century. There are many small pieces of wire that are assembled to create the setting for these diamonds. This process allows for any size stone to be utilized. After setting, this ring was hand engraved in the same style of platinum rings made from the 1920’s -1930’s. 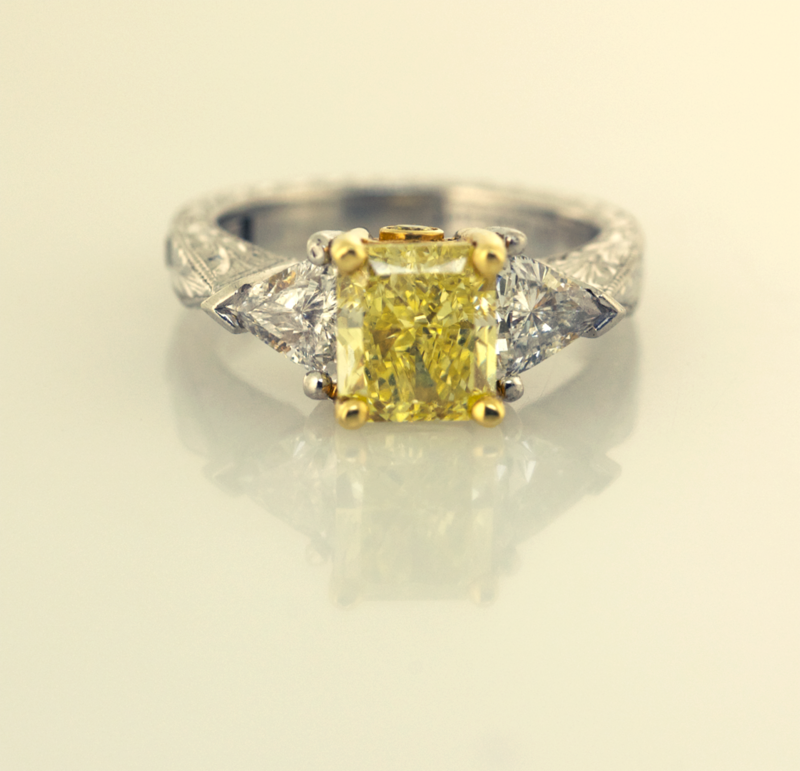 Don’t miss the detail of the yellow diamond secret stone.